A Democratic candidate for a U.S. House seat in South Carolina won the party’s primary Tuesday despite revelations that he violently abused his wife decades ago. 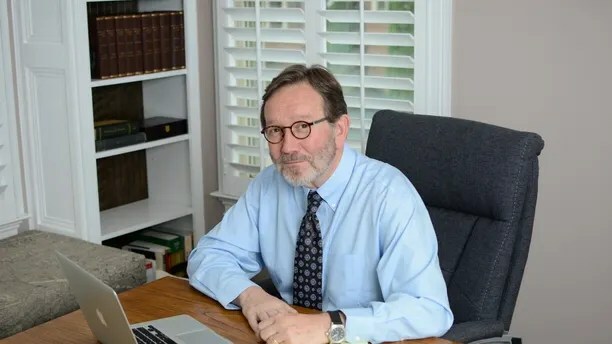 Archie Parnell received enough votes to secure his party’s nomination and will face off in November’s general election against incumbent U.S. Rep. Ralph Norman – a Republican who defeated Parnell by 3 percentage points in a special election last year. The Democrat’s primary victory, in which he defeated three challengers, comes just weeks after it was revealed that he physically abused his now-ex-wife in the 1970s, according to divorce records obtained by the Post and Courier. Kathleen Parnell said their marriage ended after her then-husband made “unwarranted accusations” and beat her several times. “The Plaintiff is informed and believes that she is entitled to an absolute divorce on the ground of physical cruelty,” the divorce documents read. The ex-wife claimed in divorce papers that Parnell used a tire iron one night to break a glass door to enter an apartment where the wife was hiding from him. He then allegedly made accusations against the wife and attacked her several times. The woman was beaten again later the same night, the newspaper reported. – Kathleen Parnell, according to divorce records. After the “acts of physical cruelty,” the ex-wife obtained a restraining order against Parnell, saying she feared for her life, and immediately sought to divorce him. The revelations of domestic abuse appeared only in divorce papers and no charges were filed against him at the time. But their recent disclosure put Parnell under scrutiny, prompting the exodus of campaign staffers and immediate calls to drop out of the race. Democratic Congressional Campaign Committee (DCCC) communications director Meredith Kelly told the Post and Courier that Parnell’s behavior was “inexcusable and deeply disturbing” and urged him to withdraw his candidacy. – Trav Robertson, the chairman of the Democratic Party in South Carolina. South Carolina Democratic Party Chairman Trav Robertson joined in to condemn Parnell, saying his past actions “though long ago, directly contradict the values of the Democratic Party.” Robertson also called on Parnell to drop out. But Parnell — a tax attorney whose past employers have included Goldman Sachs and Exxon Mobil — stayed in the race, releasing a statement claiming that though he regrets his past actions, he’s now a changed man. “This campaign has always been about the people of the 5th District, my home, but never about me,” he said. “Forty-five years ago, while still a college student, I did something that I have regretted every single day since. In response to actions I feel unnecessary to specify, I lashed out and became violent with other people, including my former wife, which led to a divorce and monumental change in my life.